This announcement is the extension of policies dating back to June 2017 that have been working toward the inclusion and representation of non-binary athletes in athletic events including track and field, road races (from 5k runs to ultra-marathons), cross country and trail running events throughout Scotland. 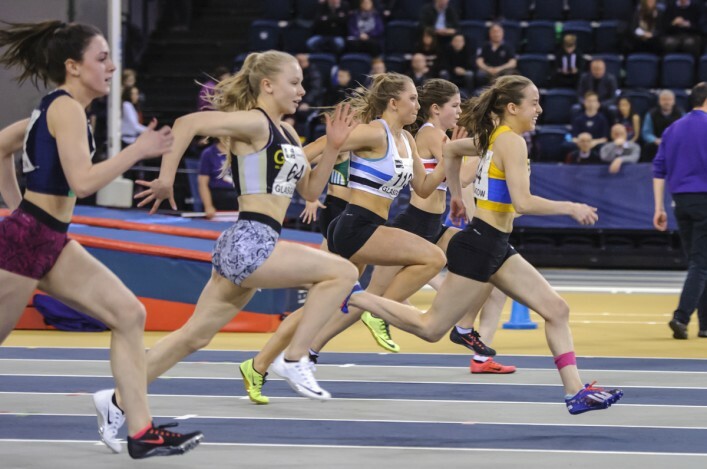 In June 2017, Scottish Athletics started licensing and sanctioning events that included a non-binary division in addition to the men’s and women’s divisions. As of September 2018, Scottish Athletics has sanctioned 33 events that included a non-binary division within their events, including four in track and field as well as the Scottish Trail Running National Championships. Despite having a small number of non-binary competitors so far, Scottish Athletics recognizes the importance of having a non-binary category that will drive increased participation and inclusion of non-binary athletes. Scottish Athletics is the first major national governing body of sport to include a non-binary division within its sanctioning process for events. They are also the first to require all championship events to include a non-binary division. The policy is still very young and in development, so the specific procedures for the sports are still going to be handled on a case by case basis. However, as more non-binary athletes take part, they will help to shape the policies to ensure that the non-binary category is representative and fair for the athletes who compete in it. The awards process will be the same as in the men’s and women’s divisions with the top winners of each category recognized. For athletes who are transgender or intersex, the Scottish Athletics policies clarify that transgender and intersex athletes are able to compete in their selected division, whether it is male, female, or non-binary. However, athletes who race in the non-binary division will not be able to have their performance counted toward national rankings. This is due to the external UK rating platforms for sports in the UK currently that do not recognize a non-binary category, yet. With Scottish Athletes currently paving the way toward the inclusion of non-binary athletes competing in a division that exists outside of the binary. They will be helping to set policies and leading sport to navigate this new path. As more athletes compete in the non-binary category, it will help the race organizers, officials, national governing bodies and sports administrators learn more about how to organize sports for non-binary athletes and what they will need to do to adapt. With so much regression on the rights of transgender people, including legislation such as Senate Bill 49 which is trying to strip the rights of transgender athletes from participating in sports. Scottish Athletics is taking a step in the right direction and we are looking forward to seeing how it will grow in the next few years.